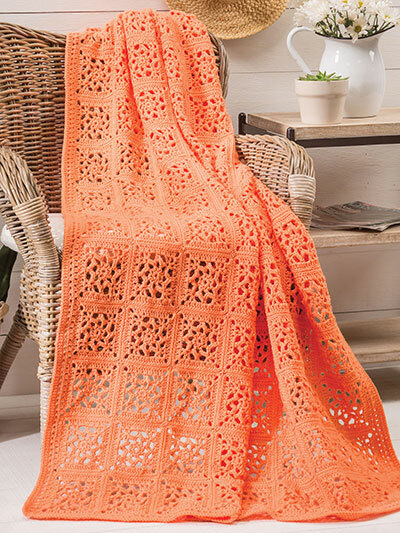 Easy to work and portable, this throw is elegant in its simplicity. 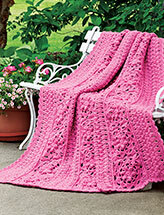 These lacy motifs can be made on-the-go and sewn together later. 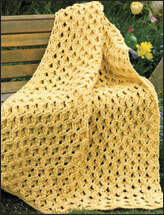 Made using 10 balls of King Cole Big Value Baby DK #3 DK-weight yarn in the color #1684 mandarin. Size: 46"W x 60"L.